Designed for Innermost trade fairs 2014/15. 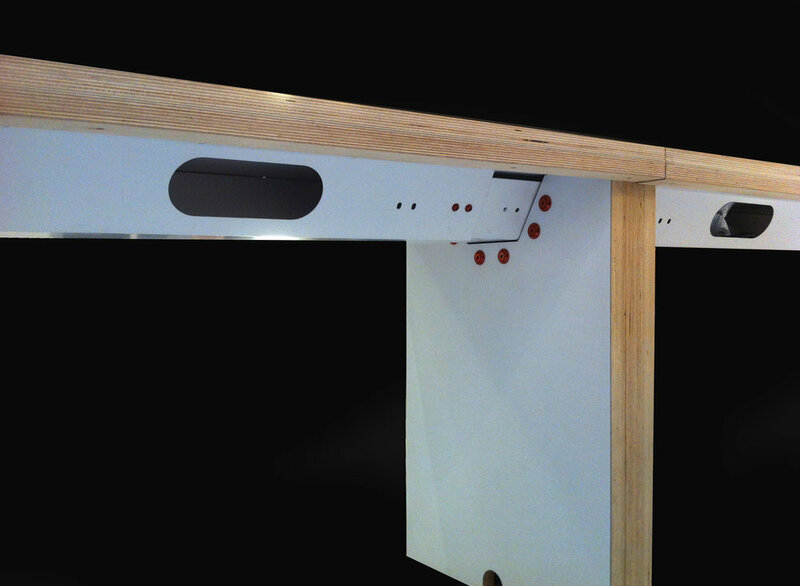 A wooden modular desk that can be assembled in three different sizes. The width is from 2 to 4 or 6 metres (3 modules). This desk system is very easy to disassemble and transport. The main element is the cables’ tray that stabilises the table and allows the operator to change the width, using different configurations with two, three or four legs.